It’s been more than a year since the board of Exxon Mobil asked its chief executive, Lee Raymond, now 64, to extend his contract. Saying that executives in training were not yet ready, the 13-member board asked Raymond, among corporate America’s longest-serving CEOs, to stay on past the company’s mandatory retirement age of 65. Raymond, who has been part of the Exxon organization since 1963 and chairman since 1993, had planned to retire in 2003, but agreed to stay on until a replacement was ready. The company attributed the postponement to the megamerger of Exxon and Mobil in November 1999, saying the changes it brought delayed the development of potential successors. Exxon Mobil, composed of the two biggest pieces of the Standard Oil empire that was broken up in 1911, is one of the world’s largest companies. It has exploration activities in 48 countries and is the world’s largest nongovernmental marketer of gas. However, it faces several uncertainties: doing business in the volatile Middle East, the possibility of government inquiries into its pricing policies in the United States retail market and reduced demand for jet fuel after September 11. Now, at its headquarters in Irving, Tex., where the tough-talking Raymond engineered the merger and oversaw the integration of the freewheeling Mobil culture with Exxon’s conservative ways, succession is the priority. Will there be a style change at the top? Will Exxon Mobil get a kinder, gentler CEO? In the oil industry’s notoriously close-to-the-vest, behind-the-closed-door style, Raymond is noted for speaking out strongly on controversial issues. On global warming, for example, he has taken the position that the potential for climate change caused by elevated levels of carbon dioxide in the atmosphere is a legitimate concern, but disagrees with projections of serious future effects. He also opposes the Kyoto agreement and any mandatory measures to restrict the use of fossil fuels. Arguing that Raymond has caused Exxon Mobil “reputational harm,” particularly for his skeptical views about the science behind global warming, Robert Monks, a longtime corporate governance activist who runs Lens Investment Services, spearheaded a surprisingly popular shareholder resolution this year. It was aimed at reducing Raymond’s duties as chairman and CEO, to mitigate what Monks saw as the damaging effects of Raymond’s view that global warming was not a problem for the company. The resolution got 20 percent of the vote, which was considered unusually strong. On succession at Exxon Mobil, analysts and corporate recruiters point to three contenders, all members with Raymond of the four-person management team: Harry Longwell, Edward Galante and Rex Tillerson. Each of them has been with the company since the early- to mid-1970s. Whoever is chosen to lead, analysts say, will need technical and financial savvy, and nerve. The refining industry is in a slump. The company’s first-half net income is down 40 percent from its 2000 high, on a 14 percent drop in revenues. The next CEO will face complex geopolitics, the analysts point out, and ever more daunting technical questions and image problems. In this day of the deglamorized chief executive, who would want the job? Well, probably pretty near anyone who fancies himself a top-dog CEO. After all, the “God pod,” as Exxon’s executive suite is known, conveys awesome power. The chief may not be a head of state, but he does have more power than many. And for years Exxon Mobil has been one of the most profitable companies in the world. There is no doubt that those 2000 revenues were due to extraordinarily high oil prices, but prices change. This year’s first half brought in a reasonably healthy $94 billion, with $4.7 billion in net income. In the U.S., Wal-Mart had more sales in its first half, at $114.7 billion, but its profits were $3.7 billion. Raymond did not set out to be an oilman, but he has built a financial and technological powerhouse, and will be a tough act to follow. He is a native of Watertown, S.D., a town of 20,000 about halfway between Fargo and Sioux Falls. In school, he quickly established himself as a vigorous debater with an interest in science. That led him to pursue a bachelor’s degree in chemical engineering from the University of Wisconsin in 1960 and a Ph.D. in chemical engineering from the University of Minnesota three years later. He planned a career in academia but he thought it would be good to get some real-world experience, so he joined the Tulsa, Okla., office of the Standard Oil Company of New Jersey (later renamed Exxon) as a production engineer. The ambitious young executive crisscrossed the corporate and global landscape, moving from Tulsa to the Caribbean to Latin America to New York. His financial skills first became apparent when in two years he took a refinery in Aruba that was losing $10 million a month and turned it into a moneymaker. He successfully ran the company’s international supply and transportation of oil products. In 1979, Raymond was appointed president of Exxon Nuclear Co. In his methodical rise at Exxon, he never flinched from tough assignments, including overseeing the cleanup of the 1989 Exxon Valdez oil spill in Alaska and the legal settlements that followed. He gained a reputation for being reserved and analytical, and for investing Exxon’s huge cash flow with great care. So it surprised no one when he was named chairman and CEO in 1993. Under the tight grip of Raymond and a small group of executives, Exxon tries to avoid the limelight even when the news is good. It excels at squeezing the most return from the resources it has, people close to the company say, but balks at taking political chances. While its exploration skills are considered first-rate and its refineries and network of service stations are run with efficiency, the company likes to limit its risk. For example, several years ago it let Royal Dutch/Shell show that oil and natural gas could be profitably recovered from fields thousands of feet below the ocean surface before taking the big plunge itself. “Our returns have to be sufficient to justify [these unprecedented investments] because you can’t drill a well in Kazakhstan on a MasterCard,” Raymond said in an interview with Chief Executive magazine. In 1984, he was named to the board of directors, “which is when it first occurred to me that I might be heading the whole company some day,” remembers Raymond, a self-described micromanager. In 1987, he took the corporate president’s title. By the time Raymond became CEO in 1993, outsiders wondered if he would mark a change in style at the top. Raymond’s predecessor, Lawrence Rawl, had the helm during the Exxon Valdez oil spill. Normally low profile, Rawl gained notoriety immediately after the disaster for being defensive toward critics who faulted Exxon for its slow response. Rawl attacked the media for the way it covered the event. The oil spill remains one of the country’s worst environmental disasters and one of corporate America’s worst public relations disasters. Almost a decade since Raymond took the helm, Exxon Mobil remains at the center of major controversies-from gay rights to alternative energy-and like his predecessor, Raymond calls them as he sees them. “This is a very straightforward culture,” he says. It is also a culture that values science. “From Day 1,” Raymond recalls, he was hooked on the company’s technology development and “never looked back.” Out of Tulsa while he was there in the 1960s came two developments that were part of a revolution in the way oil was to be recovered. One was 3-D seismic imaging, which allows scientists to predict the presence of hydrocarbons, which usually means oil. The other, which Raymond worked on, was digital reservoir simulation, which reveals the layers of rock and fluid to indicate how best to remove the oil. It would be almost 20 years before these technologies were fully exploited. Both required powerful computers, so it wasn’t until the 1980s, when computer technology became available, that they began to have real impact. These and other technological developments have allowed oil companies to drill in places they never dreamed reachable 40 years ago. “When I started, we were trying to figure out how to drill in 100 feet of water,” Raymond says. In contrast, he points out, the company now starts drilling a mile below the surface of the sea from rigs the size of the Empire State Building, which guide robot submarines. “One deepwater expert from the National Oceanic and Atmospheric Administration told me she thought oil companies were the NASA of the ocean,” he says. Exxon Mobil’s investments in technology have translated into 3,814 patents and 3,087 others pending. The engine behind this productivity is a research and development department with an annual budget of approximately $600 million. The main thrust of the research is finding new ways to use and to pull fossil fuels from the earth. There is a demand crisis looming just over the horizon. Only half of the oil and gas expected to be needed by 2010 is in production. In preparation, some of Exxon Mobil’s competitors are plowing research dollars into sources of alternative energy. Raymond sees an oil-filled future, and thinks such investments are not worth it. Exxon Mobil is working with General Motors and Toyota on fuel cells, but otherwise stays out of alternatives to oil and natural gas, which it abandoned in the 1980s, saying they were economically unviable. Lovins may have a point. Some others who have been skeptical of Raymond and his ideas, however, have been proven wrong. During the technology boom years, Jeffrey Skilling, Enron’s former CEO, named Exxon Mobil as one of a number of business dinosaurs that would “topple over from their own weight.” He even predicted that the century-old oil behemoth would break into thousands of smaller companies. Skilling’s and Raymond’s approaches to business make an interesting contrast. Skilling, who led Enron until last year, disdained capital-intensive equipment and other assets, and under his watch the now-bankrupt energy trader crafted unconventional financial arrangements. In the oil industry, that makes good sense. The prices of the commodities Exxon Mobil sells vary wildly, as do the politics in many of the developing nations where it operates. It can take years to develop an oil or natural gas field. “When we make an investment,” Raymond says, “we expect it to be around for 20 or 30 years.” In 1993, Exxon purchased drilling rights off Angola, but production won’t begin there until 2004. It has already invested its new well development budget through 2007, with nearly $50 billion invested in 80 projects. Even when it has a field up and running profitably, Exxon may be forced to close it quickly. Governments control most of the world’s oil, and new resources are constantly being investigated in remote areas. To explore and drill in these places, Exxon Mobil teams with state-run companies in corruption-plagued countries in Asia, Africa and Latin America. When a government falls or rebels take over a region, Exxon is forced to move quickly. That’s what happened in Indonesia’s northern province of Aceh in 2001, when employees of a giant natural gas field were evacuated following attacks by local separatists who claimed a right to gas revenues from the province. Exxon Mobil extracts hundreds of millions of dollars in natural gas every year but the field sits in the middle of a conflict, and that leaves the business under siege. The Aceh fields have since reopened, but Exxon and Raymond have landed on the wrong side of human rights groups who accuse the company of supporting a repressive regime. Exxon Mobil is the object of a lawsuit filed on behalf of villagers who accuse the company of turning a blind eye to brutality by Indonesian soldiers, who have a long history of human rights abuses and have been paid to provide the plant’s security. The company denies the charges. 1911 The U.S. Supreme Court breaks up Standard Oil into 34 companies. Most of the assets are divided among seven oil companies that become known as the “Seven Sisters.” Standard Oil of New Jersey becomes the predecessor of Exxon. Walter Teagle first is elected a director and then in 1937 is tapped to be company president. Takes three-month holidays to pursue interests in hunting and fishing. Dislikes lawyers and refuses to put one on the board. But he does employ a spy who travels the world and reports back only to him. Runs company for 20 years. 1954 Eugene Holman, a geologist and Latin America specialist, takes the president’s title. Credited with establishing Exxon in the Middle East. 1963 Monroe Rathbone, a chemical engineer who earned his stripes at the giant Baton Rouge refinery, takes the CEO title. Champions oil price cut that spurs the formation of OPEC, which would become the dominant force in controlling the world’s oil. Leads then-massive $700 million exploration that finds oil in Australia, Alaska and the North Sea. 1965 Michael Haider, another engineer turned CEO, takes the top job but fails to foresee the day when oil demand exceeds supply. “I wish I could say I will be around when there is a shortage of crude oil outside the United States,” he said in 1967. In 1973 oil prices rise to almost $12 a barrel from $3 following the Yom Kippur War and the Arab oil embargo. 1969 Ken Jamieson, son of a Canadian Mountie from Medicine Hat, Alberta, adopts Texas as home and becomes Exxon’s next CEO. An engineer by training, he develops a reputation as a mediator between the Seven Sisters and Middle Eastern officials who control oil supplies. 1987 Petroleum engineer Lawrence Rawl takes the CEO slot. Perhaps best remembered for his immediate response to the Exxon Valdez oil spill, when he said he was “too busy” to visit the site. Even the merger with Mobil has become a case study in productive use of capital. When the two companies joined almost three years ago in an $81 billion deal, critics doubted that the synergies of combining the world’s two largest oil companies would pay off as expected. Executives at the time believed the combined firm would save $2.8 billion in costs through 2002. With the merger, payroll at the two firms dropped to 94,000 from 118,000. To the surprise of skeptics, the company managed to save more than it had at first predicted. It now estimates the cost savings from the merger at $8 billion. That kind of financial success breeds confidence, and at Exxon confidence translates into a unique culture. Corporate manuals guide employees. How to deal with potential conflicts of interest, for instance, is spelled out in an 18-page ethics handbook and in seminars led by the legal department that employees are required to attend. There is even a 12-page guide to appropriate relationships in the workplace. The company is known for being wary of the ideas and ways of outsiders. Exxon Mobil always promotes from within. When merger talks with Mobil started, only three officers at each firm knew about them. No outside lawyers or investment bankers were brought in until their boards had approved the deal. The Exxon culture remained in force following the merger even though efforts were made to create a new international structure. “We didn’t want any us vs. them,” Raymond explains. Nevertheless, the transition has been bumpy. The combined company decided to cancel Mobil’s domestic partner benefits program, which drew protests from some Mobil employees and a boycott of the company led by the Human Rights Campaign, a large U.S. gay rights advocacy group. Raymond called attention to the company’s hidebound ways in May following its annual meeting. That is when he was quoted in the national press for applauding shareholders who voted down a proposal that would have required the board to state that the company was against discrimination based on sexual orientation. Exxon Mobil says that the merged company has a strong anti-discrimination program. The new company did place two top Mobil executives in leadership positions, but they have since retired. Lucio Noto, who was CEO of Mobil at the time of the merger, served as vice chairman at the combined company until he left last year. Eugene Renna, Mobil’s former president and COO, joined the combined company’s ruling Management Committee, which is responsible for day-to-day operations, but announced his retirement in January 2002. One of three Exxon men looks most likely to succeed Raymond. Analysts and corporate recruiters point to candidates with backgrounds similar to Raymond’s. Dann of Banc of America Securities believes that Exxon Mobil’s culture is not personality-driven, so the same careful, team-based decision-making, along with the long-term investments already underway and some of the controversial stances on social issues, are likely to continue. Galante, 51, who won a coveted speaker’s slot at the annual meeting, joined Exxon’s marketing department in 1972 and is considered personable and approachable. In 1988, he was tapped to run the important refinery in Baton Rouge, La., known as the “Exxon Academy,” a proving ground to many rising stars. Four years later, he was named CEO of the Caribbean and Central American region. 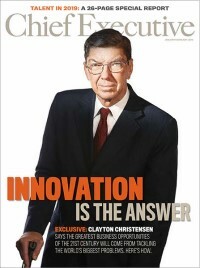 In 1995, he gained the ear of the CEO when the company appointed him Raymond’s executive assistant. Tillerson, 50, who also spoke at the annual meeting, started at Exxon in 1975 as a production engineer. He worked his way through the organization and handled high-profile assignments, including the long-term commercialization of gas projects in Alaska and Canada’s Beaufort Sea. He ran Exxon Yemen and then became responsible for Exxon’s holdings in the Caspian Sea and Russia, including a project on Sakhalin Island. At the time of the merger, Tillerson became executive vice president of the Exxon Development Co. Raymond handpicked him for the promotion. “He is a good speaker and good at negotiating,” says Angela Herndon, president of A. Herndon & Associates, a Houston corporate recruiting firm specializing in energy. As recently as April, Tillerson met with Prime Minister Mikhail Kasyanov of Russia to see if he could speed up the permitting process at Sakhalin Island, an oil venture of $12-to-$15 billion that Exxon Mobil is supposed to invest in over the next few years. Herndon believes that Tillerson’s experience in exploration and production, crucial in Raymond’s mind to Exxon’s future, will give him an edge over Galante. But Herndon also points out that Harry Longwell, 61, has a decade more experience than his two colleagues, and Exxon tends to value seniority. Longwell began his career with Exxon as a drilling engineer in 1963. He ran the company’s domestic production department through half of the 1980s, and then became vice president for international exploration and production. In 1995, Longwell joined the board. Known for his global connections, Longwell serves on the board of the U.S.-China Business Council. Although he is not much younger than Raymond (and would serve for just a few years before hitting the mandatory retirement age), Longwell as CEO would give a younger Tillerson or Galante more time to grow into the role. Lee Raymond doesn’t offer guidance to Wall Street, and he is impatient with analysts and the press. “When you talk to him you’d better have your facts straight. If you don’t, he’ll cut you off with €˜The Look,'” warns Matthew Warburton, a research analyst with UBS Warburg. Raymond has strong opinions on everything from leadership to global warming. Q: Did you change your style when you became CEO? A: I didn’t have to change my leadership style. While you can try to knock off rough edges, under pressure you tend to revert to your character no matter how many lessons you take. Golf pros will tell you that if you have a quick swing, under pressure you’ll have a quick swing. In an organization like ours, it doesn’t take long for people to tell if you’re acting like someone you’re not. Q: What was difficult about merging Exxon and Mobil? A: You can certainly forget to run the business while you’re dealing with the effects of what we think will turn out to be the biggest and most successful merger in history. We reminded our management people, especially, that they had to do both. Q: Isn’t it time to join the scientific mainstream in countering the greenhouse effect? A: The mainstream of some so-called environmentalists or politically correct Europeans isn’t the mainstream of all scientists or the White House. The world has been a lot warmer than it is now and it didn’t have anything to do with carbon dioxide. Q: You’ve been criticized for not investing in alternative energy. Why do you take such an extreme position? A: Right now we have the same solar technology we had 25 years ago. We’re working on fuel cells, but they require fossil fuels to run. We’re not focusing on renewables until we have some answers. We feel the important thing is to provide energy for growth and opportunity, especially for the developing world. And the most efficient way to do this is what we’re doing. Q: What was your biggest career mistake? A: I don’t look back on things as mistakes. I believe that you try to make the best decisions you can given the information you have at the time. You have to accept that you always have imperfect information-things you should have known or would have wanted to know. So-called mistakes are things you just don’t want to repeat.